Where Can I Find Jeep Cherokee SUVs for Sale Near Me? Are you asking yourself, ‘where can I find new & used Jeep Cherokee SUVs for sale near me?’ South Pointe Chrysler Jeep Dodge Ram offers an exceptional selection of new, used & certified pre-owned Jeep Cherokee SUVs for you to browse and test drive in Tulsa, OK.
WHY PICK THE JEEP CHEROKEE? Searching for the remedy for the road trip blues? The 2018 Jeep Cherokee is our prescription for those who love a compact crossover SUV that can handle the route less traveled as well as it handles the open street. Apart from its spacious interior; Jeep Cherokee also provides you with advanced safety features among other advantages. 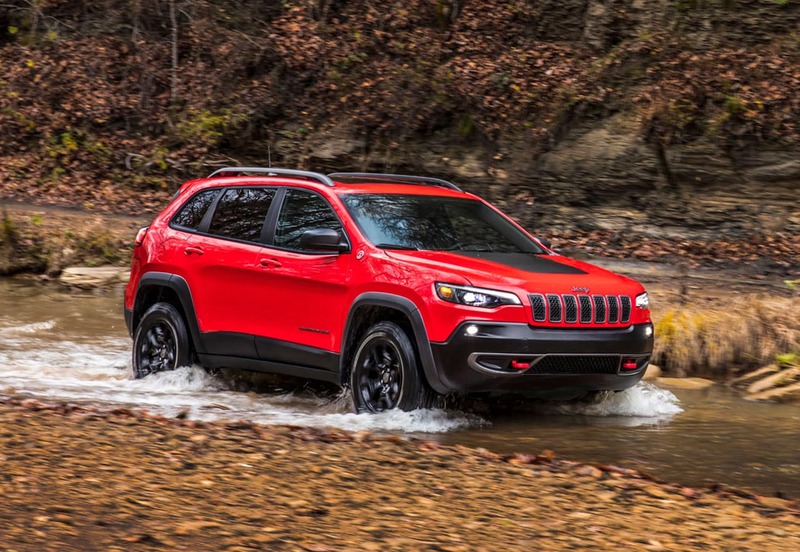 Jeep is recognized for tackling the roughest terrain effortlessly and the 2018 Cherokee is absolutely no exception. Our state-of-the-art 4×4 Active Drive System is built to make the scenic course something to take in instead of observed. If the 2018 Jeep Cherokee’s standard 2.4-liter 4-cylindered drivetrain doesn’t grab your interest, the 3.2-liter V6 certainly will. Toss in our 9-speed automatic transmission and you’ll be discovering breathtaking new routes to Point B. Whichever train you select, you’re going to be in for the experience of your life. If you think Jeep’s devotion to mastering all roads means cutting corners on safety, you’re in for a mind-blowing test drive. The 2018 Jeep Cherokee comes packed with all of the newest automotive safety technology– from lane departure warning and lane keeping assist to rear cross-traffic monitoring, automated emergency braking, and so much more– with the 2018 Jeep Cherokee, your safety comes standard. Visit South Pointe Chrysler Jeep Dodge Ram today to test drive a new, used, or Jeep certified pre-owned SUV in Tulsa, OK. Our knowledgeable team of Jeep specialists are standing by to help you find the perfect vehicle. Browse our online inventory, drop by, or call (918) 584-1481 now to learn more. We look forward to serving you!